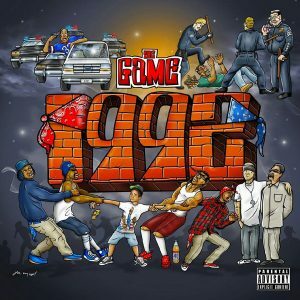 One of Compton’s finest, The Game continues his story-telling style of rap on this project, discussing the variety of issues in the Los-Angeles county city. From police violence to the tensions between the crips and the bloods, this album shares the horrors of Compton through his eyes, a concept that isn’t all that original. The album’s instrumentals are on point and The Game’s lyrics are as good as ever. The single “92 Bars” (which is a track aimed at dissing Meek Mill btw) is the best song on the album and showcases everything that’s good about it. Although the album is a good listen, it’s nothing that we haven’t heard from The Game in the past. As someone who’s been around for a while, there isn’t much diversity in his albums and mixtapes when it comes to his sounds, and it’s no different on this album. 1992 probably won’t stay in my song rotation for a while, but it’s worth a listen. Expolatino promises sun and spice.